How do aspiring servant leaders become purposeful pioneers in public health? 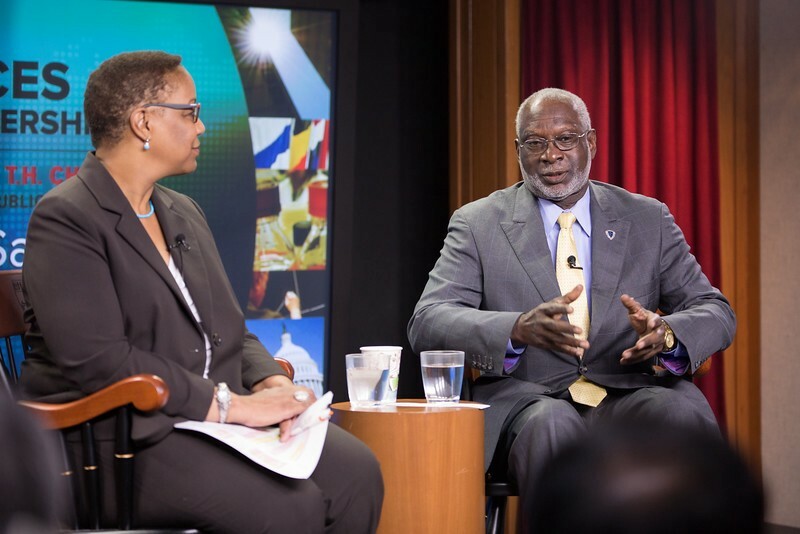 David Satcher, M.D., Ph.D., former Surgeon General, former director of the Center for Disease Control, and current Founding Director of the Satcher Health Leadership Institute at Morehouse College, insists that he never set out to be a pioneer. His Voices in Leadership interview on October 27th at the Harvard T.H. Chan School of Public Health revealed the impetus behind his pioneering purpose. 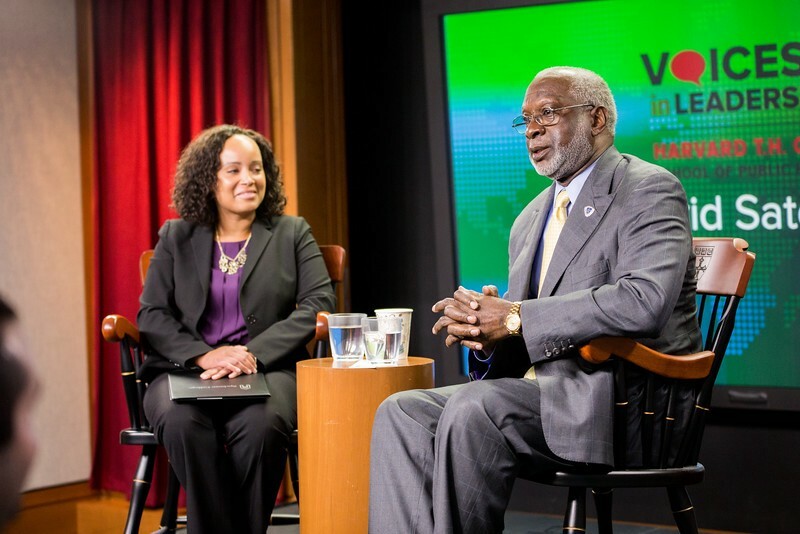 Watch 16th Surgeon General of the United States Dr. David Satcher’s full talk with the Voices in Leadership series at the Harvard T.H. Chan School of Public Health from October 27, 2015. Sick with pneumonia as a toddler on an Alabama farm, young Satcher was near death. His parents called the only Black physician in Anniston, his hometown. Thanks to his physician’s infinite patience while spending the entire day with the family, young Satcher survived against all odds. Out of gratitude, Satcher’s mother told him his survival tale nearly every day. No wonder why on his fifth birthday, he planned to see his hero, the physician who saved his life. Alas, this never happened; his hero suffered a fatal stroke soon before Satcher’s birthday. From these childhood experiences followed his ambition to practice medicine. By the time he was a pre-medical student at Morehouse College in Atlanta, childhood gratitude had matured into a steadfast passion for justice. Participating in the Civil Rights Movement, Satcher took a stand against injustice. He was jailed and even imprisoned for this, risking repeatedly his medical school dream to advocate for our better future. This risk was high: in 1964, the year after he graduated from Morehouse, only 2.2% of medical students were African American. 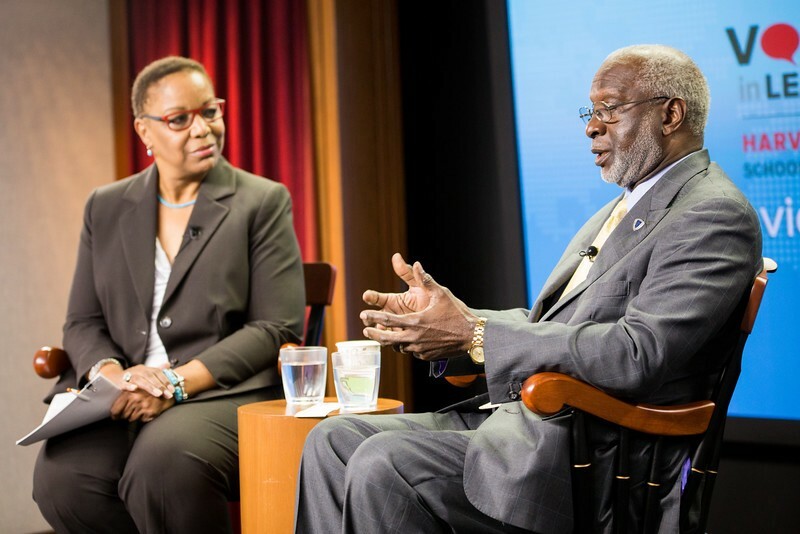 The theme of risking self for a greater cause recurs throughout Dr. Satcher’s career. As Surgeon General, Satcher committed not only to reduce, but to eliminate racial and ethnic health disparities and, in 1999, released the first mental health report of the Surgeon General. As such, he increased the priority of addressing these issues. Such devotedness goes beyond individual pride, spilling over into an intelligent, purposeful empathy that coalesces team members into an interdependent whole. Nickens HW, Ready TP, Petersdorf RG. Project 3000 by 2000. Racial and ethnic diversity in U.S. medical schools. N Engl J Med 1994;331:472–6. For more from the Voices in Leadership (@VoicesHSPH) series at the Harvard T.H. Chan School of Public Health (@HarvardHSPH), visitwww.hsph.harvard.edu/voices.